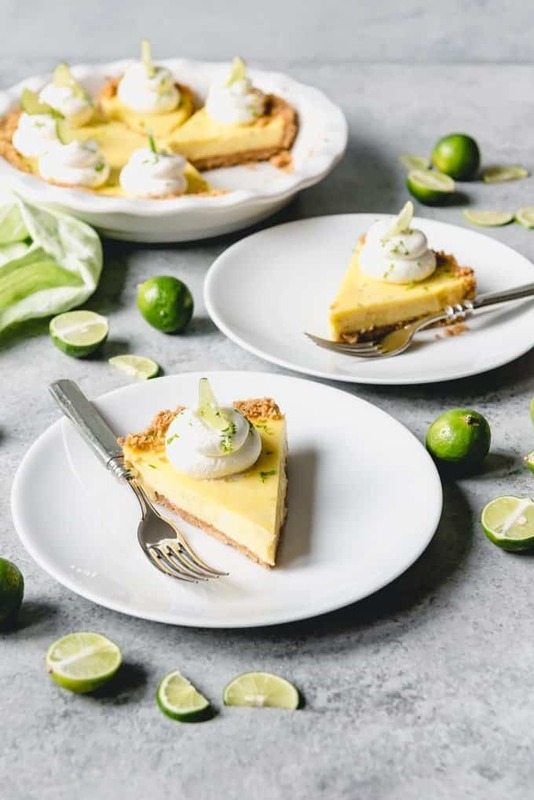 The best Key Lime Pie recipe is made from scratch with a buttery graham cracker crust, real key lime juice and zest, and a smooth and creamy filling that is the perfect balance of tart and sweet. 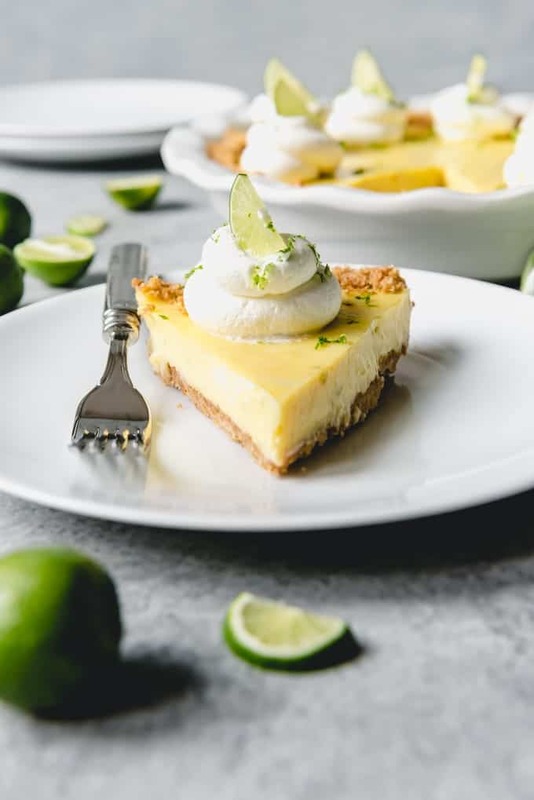 I couldn’t get through Florida Week without sharing a recipe for the best key lime pie I’ve ever had! Key lime pie is such a classic dessert and the first thing I thought of for Florida when brainstorming ideas for my American Eats series. Well, that, and all sort of Cuban food and anything with oranges or orange juice. I didn’t get around to sharing any recipes highlighting oranges this week, but you should definitely try these knotted orange sweet rolls that my sister-in-law Deborah shared with me a few years back. 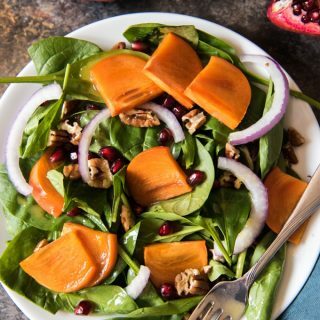 They are incredible and packed with fresh orange flavor. 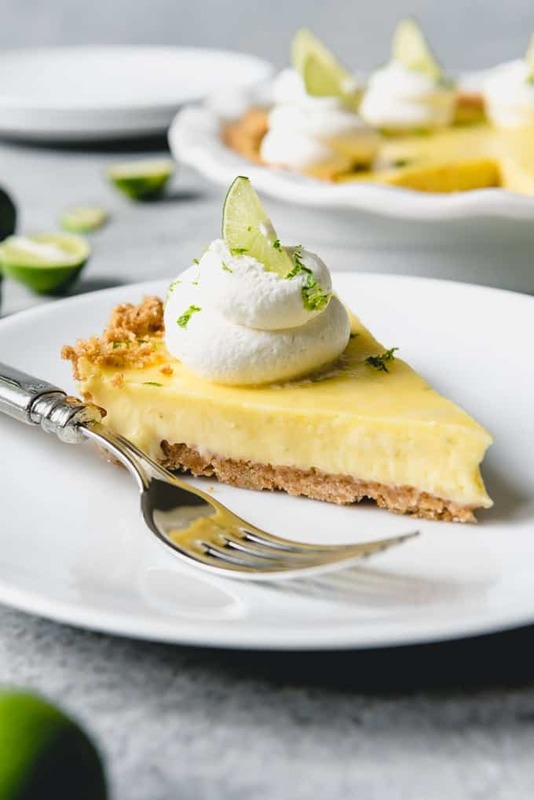 Key lime pie is surprisingly easy and quick to make using either fresh key lime juice squeezed from about 20 key limes, or using bottled key lime juice which you can find at most grocery stores or order online. 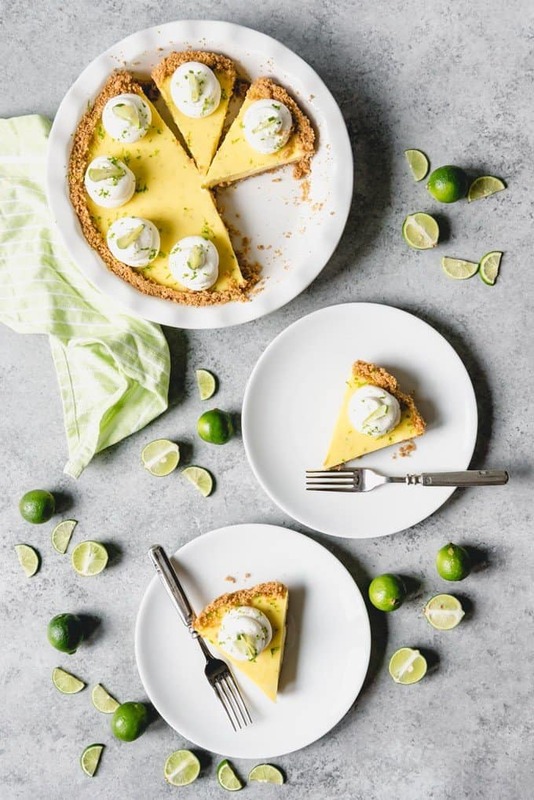 An authentic key lime pie recipe uses only key lime juice, lime zest, sweetened condensed milk, and egg yolks for the filling. I’ve seen a number of key lime pie recipes that also include cream cheese or sour cream, but I wanted to stay true to the original version. 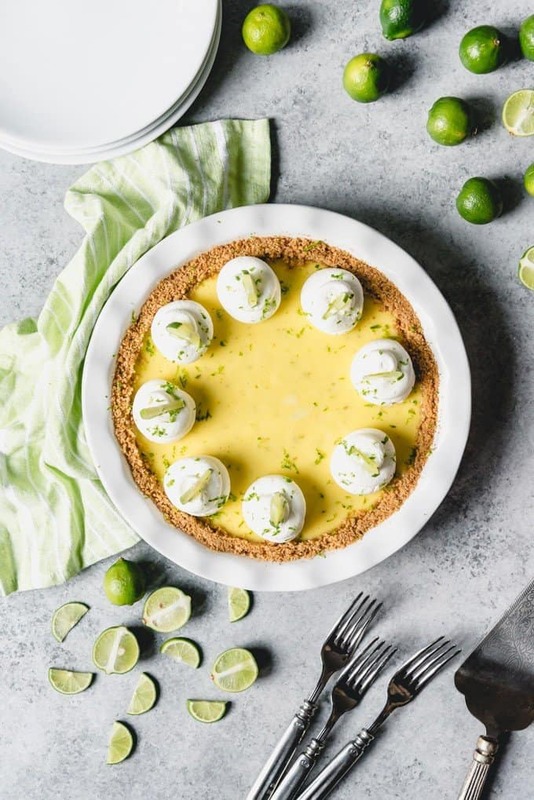 The lime zest not only boosts the lime flavor, but it adds little specks of green that make this pie extra pretty. I also sprinkle a little extra zest over the top of the pie just for looks. The fresh citrusy flavor of this Florida original is out of this world. 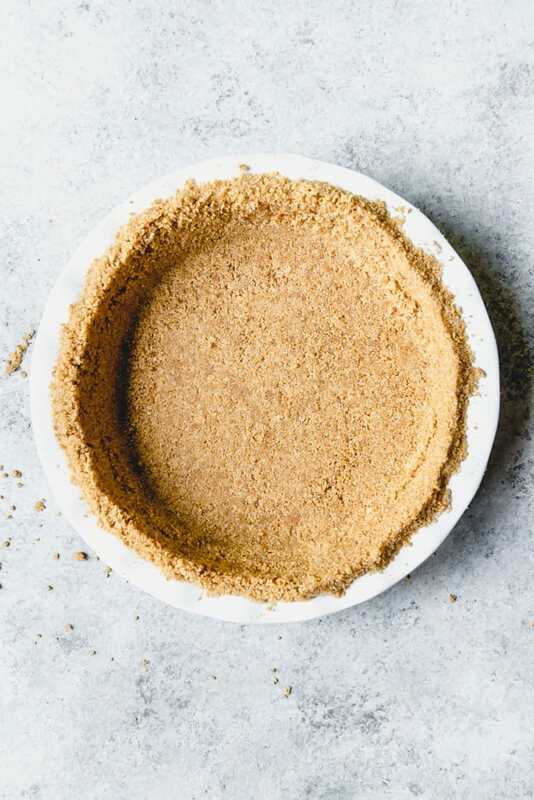 And it’s perfect with the traditional graham cracker crust that is really easy (and honestly, so much tastier) made at home rather than buying a pre-made store-bought crust. I like to top this easy key lime pie recipe with sweetened whipped cream rather than a meringue. Not only does it taste delicious, but it makes for a pretty presentation as well, especially with thin key lime slices on top for decoration. 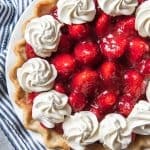 I love how simple and easy this pie is to make. There’s no rolling out a crust or long ingredient list. It’s practically foolproof. 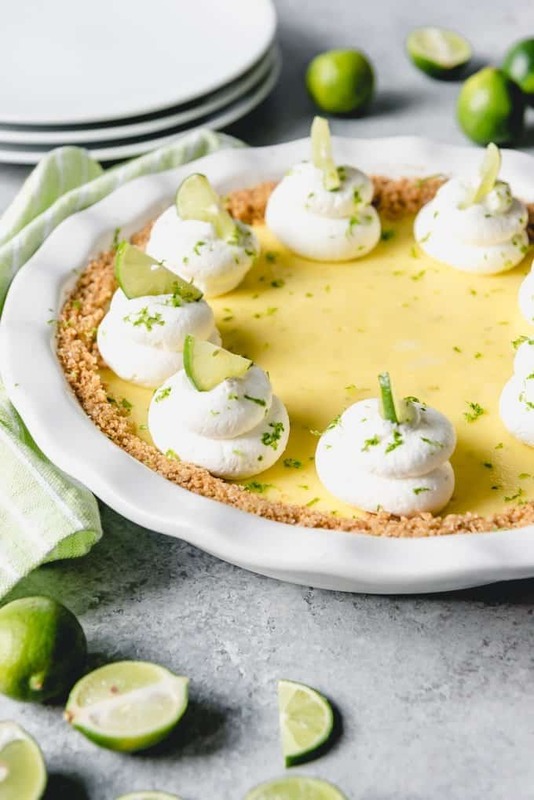 This key lime pie would be perfect for Pi Day or Easter, which are both coming up. But you can enjoy it all year long! What is the difference between a lime and a key lime? Key limes are smaller and have a more intense flavor than the larger Persian limes that we are familiar with and see in the grocery store all the time. The key lime flavor is slightly more tart than regular limes. 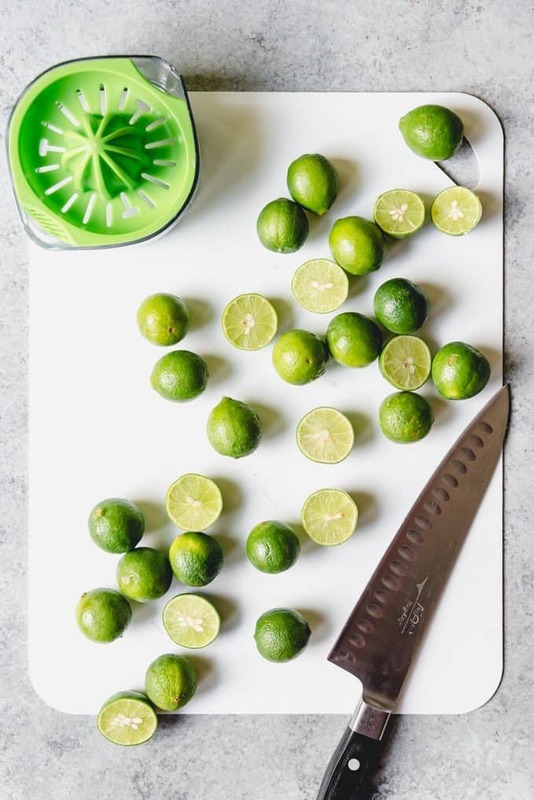 Key limes also have a thinner skin than larger limes, which means they don’t last as long in stores and you will probably only find them seasonally. They also tend to have more seeds in them. One other difference is that the juice from key limes isn’t as green, which is why the color of key lime pie is more yellow (also, because of the four egg yolks in the pie, which also contribute to the yellow hue). Zesting those little key limes is not as easy as as the larger Persian limes, but I’ve heard you can use a garlic press to make it easier. I don’t have one so I just used my regular juicer and made it work. 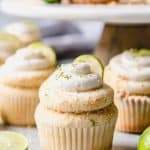 Can you substitute lime for key lime? Yes and no. Honestly? The flavor of the key lime pie just isn’t the same with Persian limes as opposed to key limes. But okay, yes, it’s doable – good even. Please, nobody excoriate me in the comments for making such a declaration. If key limes aren’t available, I would first recommend looking for bottled key lime juice, which you will find next to the regular lime juice. 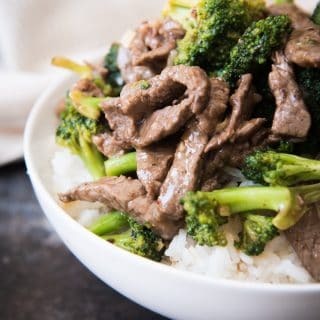 If that doesn’t work, you could certainly make this recipe with just regular lime juice. But I would definitely recommend using fresh-squeezed lime juice as opposed to bottled if going this route. 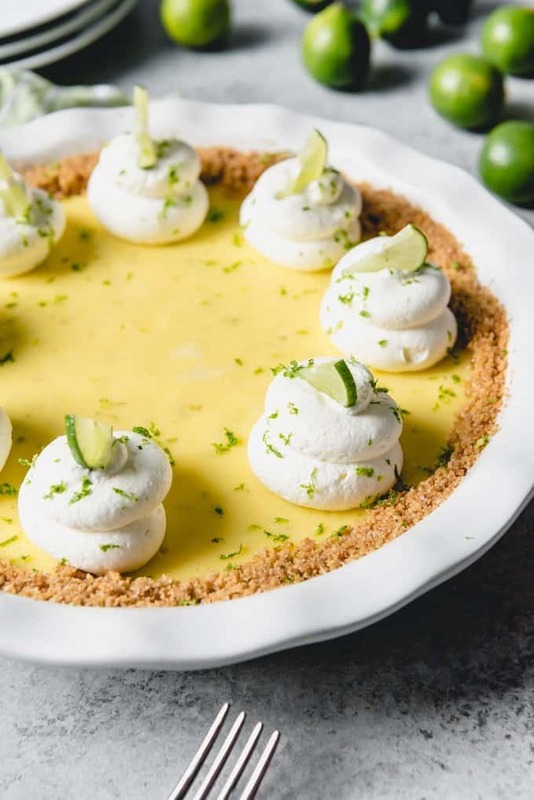 It takes about 20-24 key limes to get the key lime juice you need for this key lime pie recipe. 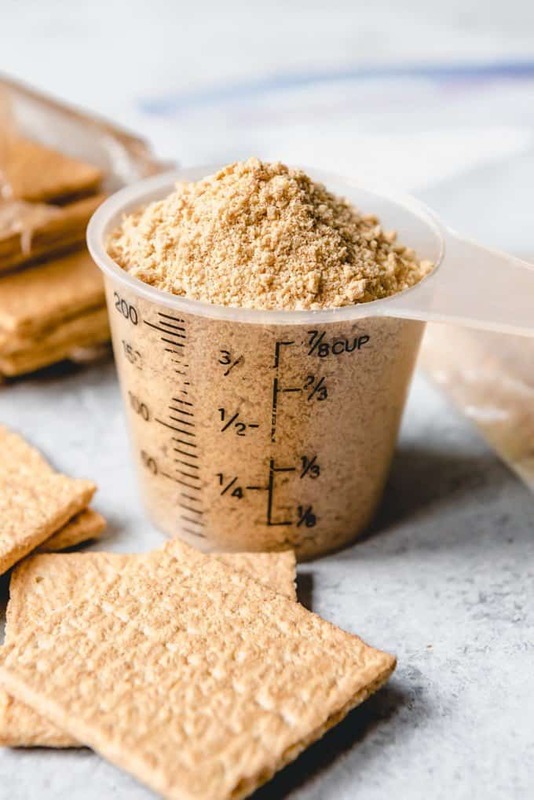 Start by making the graham cracker crust. Don’t worry about making the crust climb too high by pressing it way up the sides of the pie pan. 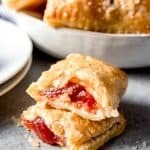 This isn’t a deep dish pie recipe and if you make the crust too tall around the edges, it will just crumble off and not look as pretty since the filling doesn’t fill a regular 9-inch pie plate to the top. I like to pre-bake the crust for 10 minutes to help it hold up when I pour the filling in. 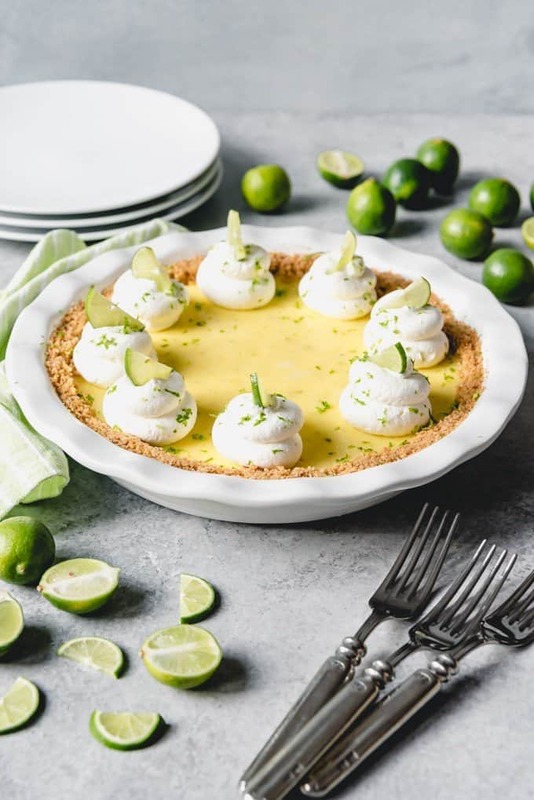 Making the key lime pie filling is just a matter of whisking together the lime juice, lime zest, sweetened condensed milk, and egg yolks in a bowl. See? Foolproof. You don’t even need an electric mixer. Pour that into the crust and bake for 15-20 minutes in a 350 degree F oven. The center should still be jiggly when you shake it but the edges will be pretty set. The pie will continue to set up as it cools. I pulled mine out right around the 15-16 minute mark. Let the pie cool for 1 hour on a wire rack, then transfer to the fridge and chill at least 3 hours. Top with sweetened whipped cream and garnish with slices of lime and lime zest. You could put your whipped cream into a piping bag fitted with a round tip or a star tip and pipe on pretty swirls. 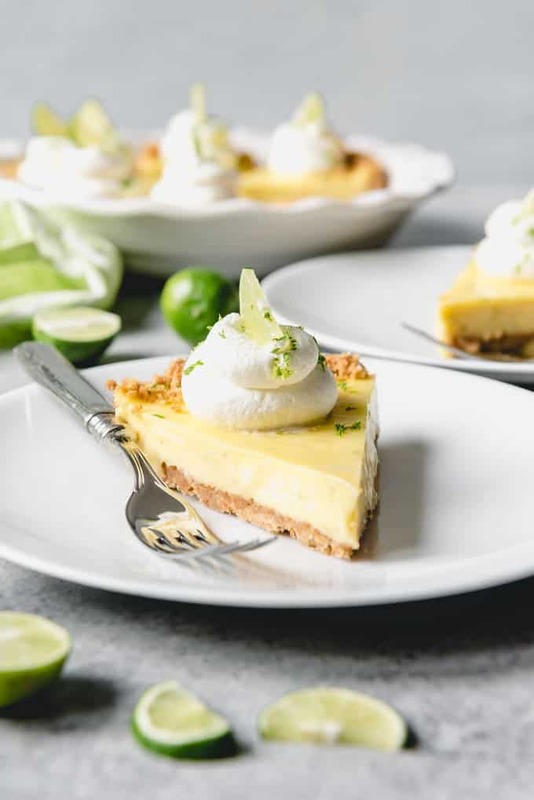 Some people like to completely cover the top of their key lime pie with whipped cream, which is another option you might want to try. I just thought the whipped cream swirls looked pretty for the photos, otherwise I probably would have just dolloped it on. Preheat oven to 350 degrees F. Prepare graham cracker crust and bake for 10 minutes until set. Cool while preparing filling. Whisk together condensed milk, key lime juice, key lime zest, and egg yolks. Pour into pie crust. Bake for 15-20 minutes, until the pie is mostly set around the edges but still slightly jiggly in the center. Cool on a wire rack for 1 hour, then transfer to the refrigerator and chill for 3 hours. Prepare whipped cream by beating the cream and powdered sugar with an electric mixer on high speed for 2 to 3 minutes until soft peaks form. Spread on top of pie or transfer to a piping bag fitted with a round tip or star tip and pipe decorative swirls around the border of the pie. 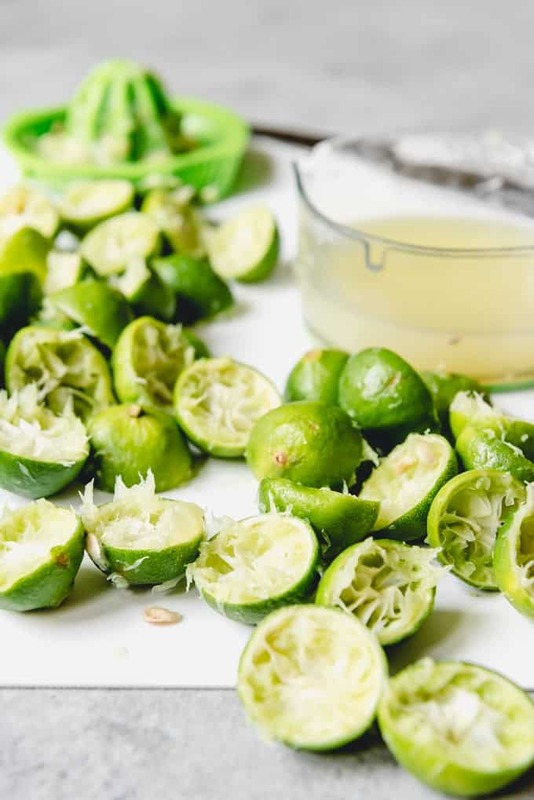 Garnish with thin slices of key limes and lime zest, then slice and serve. There’s just no substituting for fresh key limes! Well worth juicing them for the flavor. Thanks for sticking with a true recipe and not the artificially flavored or colored versions! 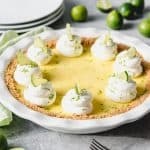 Key Lime Pie is one of my absolute favorite desserts! 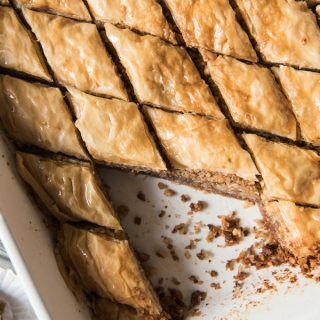 Your photos are beautiful and my mouth is watering just looking at this amazing pie. This one is definitely going on my must-make list; I think it would be a spectacular Easter dessert!